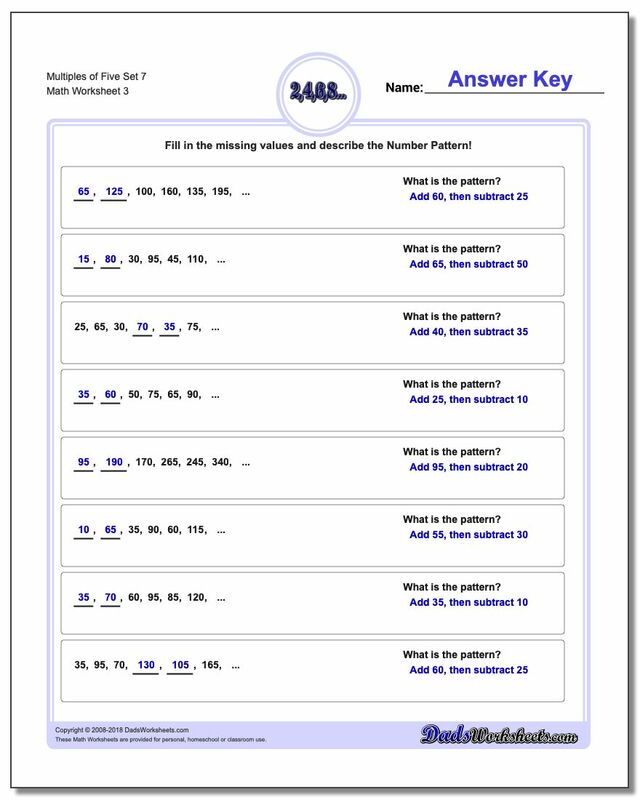 This section includes number patterns involving multiples of fives. 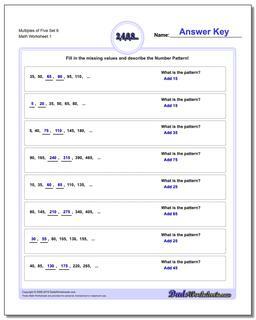 Multiple-of-five fluency greatly helps in solving money and time problems, estimation and many other areas. The number five occurs in so many contexts in the real world, and being able to quickly recognize a pattern dealing with units of five is a great skill. 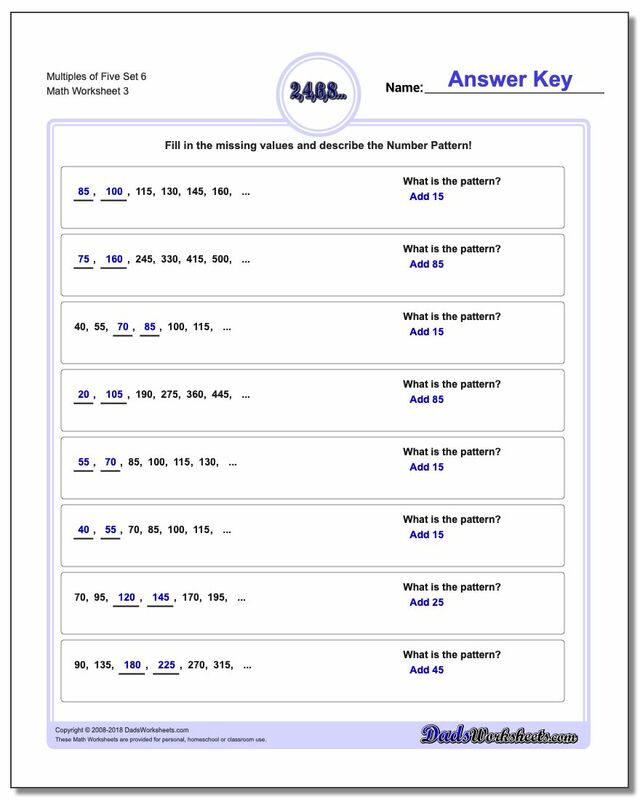 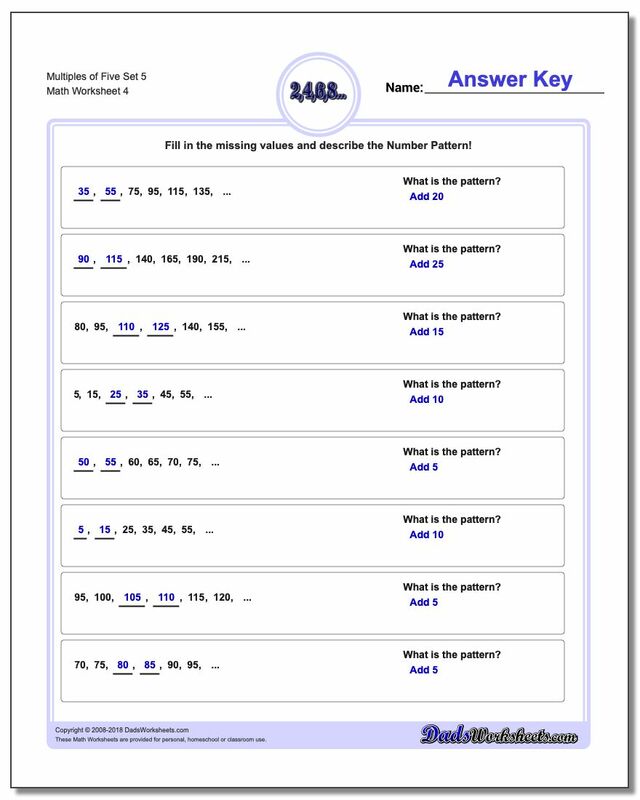 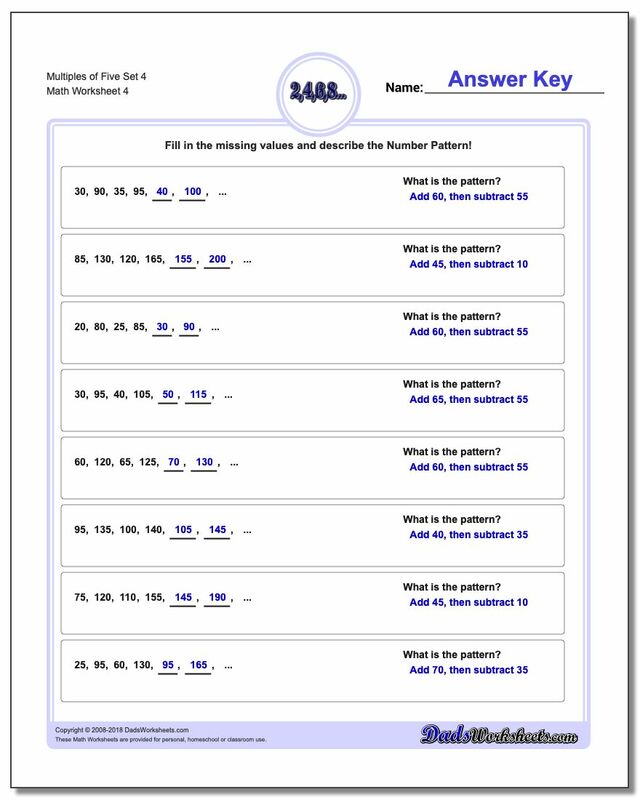 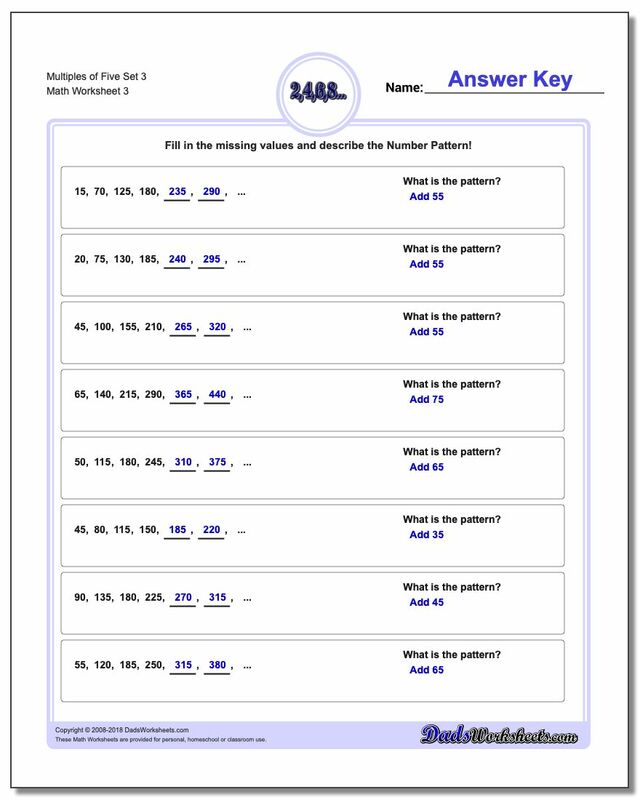 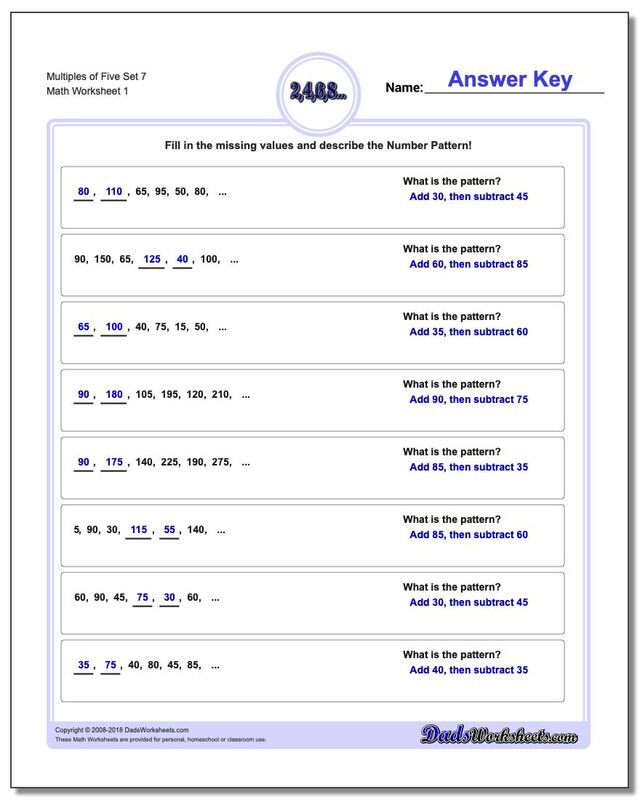 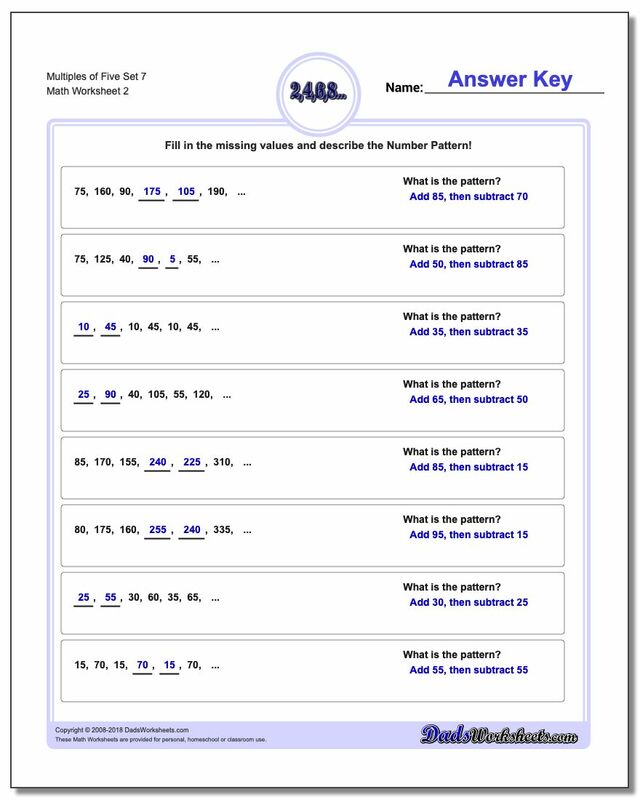 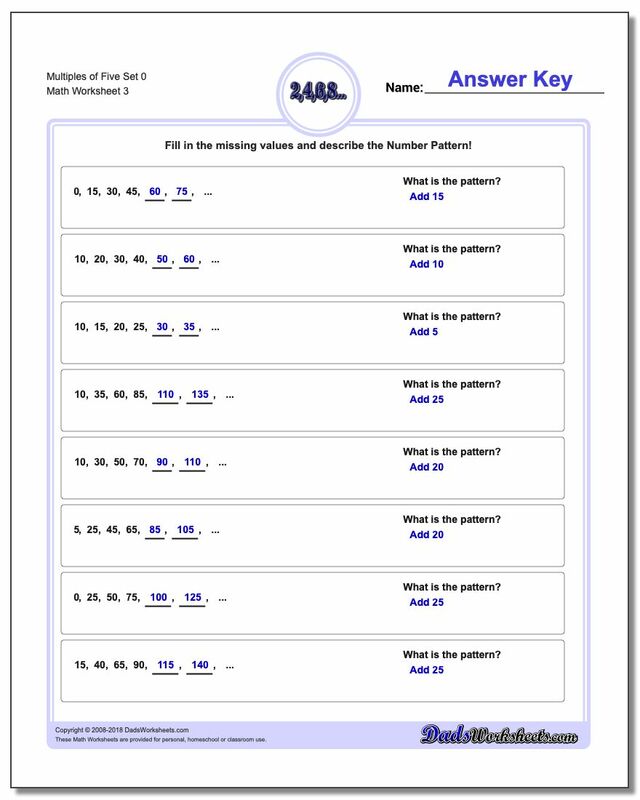 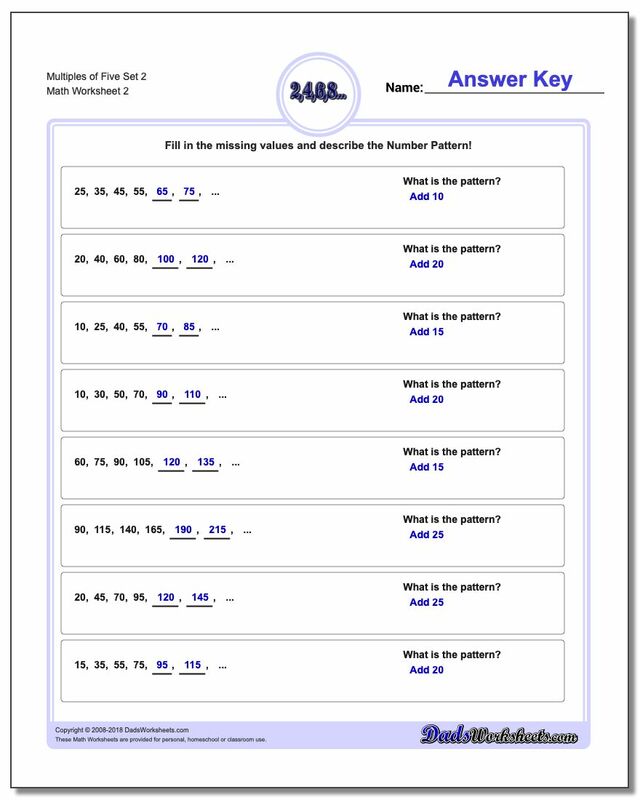 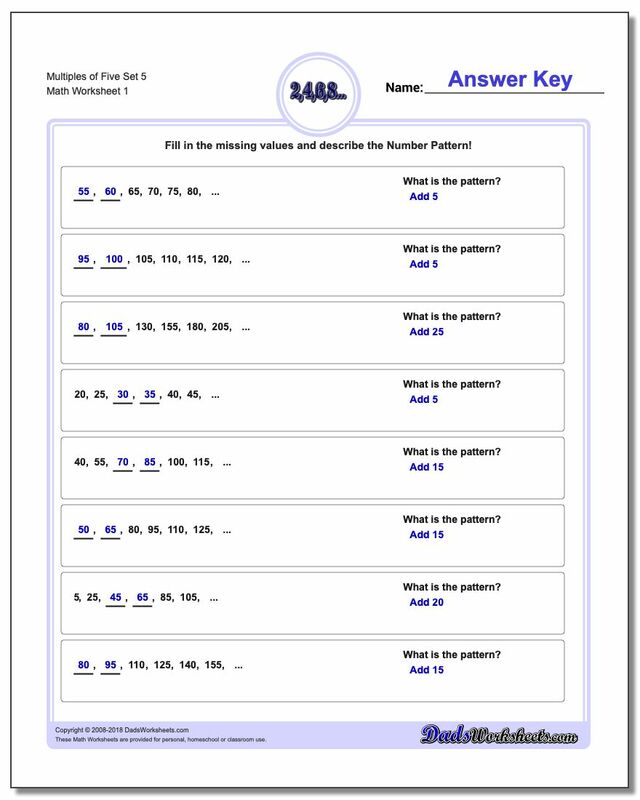 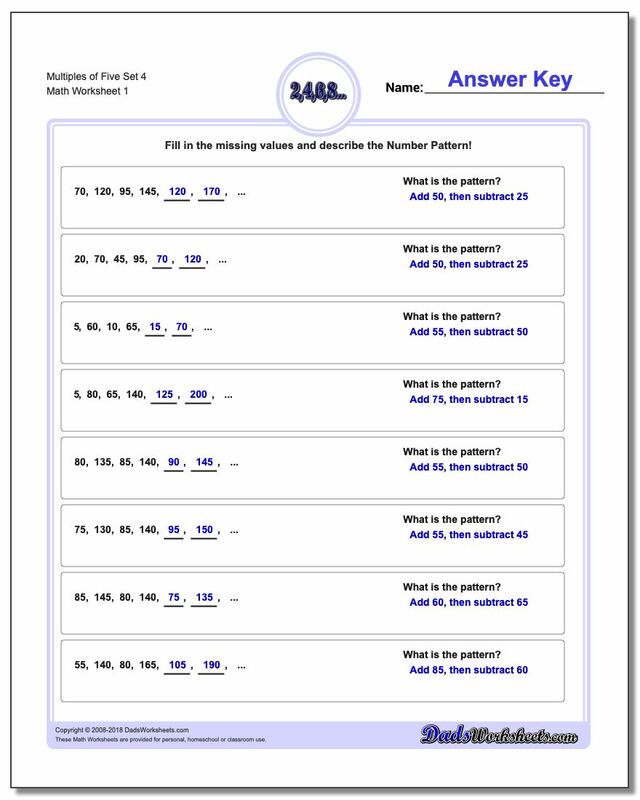 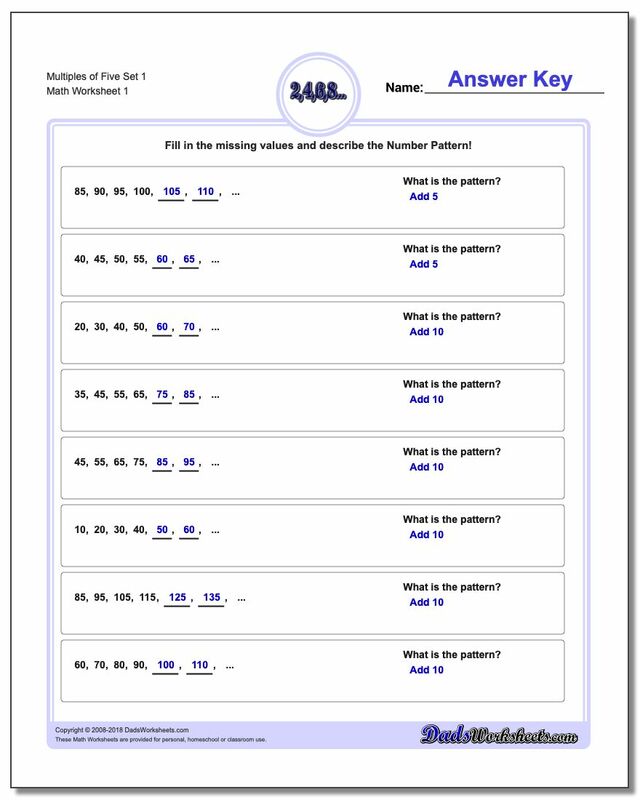 These number pattern worksheets all deal with multiples of five. The earlier worksheets in the set start with smaller numbers in the pattern, but later worksheets will introduce other multiples such as tens or fifteens. These worksheets will also hone a student's ability to quickly recognize differences between two numbers that are both multiples of five.